Mr. David Williams is currently the Director of Digital Strategy at Ovivo. 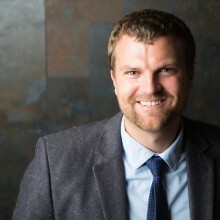 He has a bachelor’s of science degree in mechanical engineering from Utah State University and a master’s of business administration from the Huntsman School of Business. Prior to Ovivo, Mr. Williams ran a web development consulting service focused on improving companies’ digital strategies. He is proficient in multiple programming languages and has overseen development of key IOT enterprise applications which include a platform to connect utilities’ IOT devices for big data analytics, maintenance management, plant knowledge capture, ubiquitous connectivity, machine learning infrastructure, and much more. As part of Ovivo’s own digital transformation, Mr. Williams is working with product managers across the divisions to bring to market smart and connected equipment that will add value to their customers and be a part of a sustainable IOT ecosystem. Copyright © Ovivo 2018. All Rights reserved Designed by WPlook Studio.